Latin America’s left has been in disarray since the commodity boom ended five years ago, with events in Brazil, Venezuela, and elsewhere conspiring to see a return of right-wing parties and politicians to office in their respective countries. Progressive groups saw events like the impeachment of the then-Brazilian president Dilma Rousseff as a reassertion of an old pattern of elite conservative (and pro-US) influence in the region at the expense of the previously dominant left. But observers on both the right and the left do not seem to have accounted for how poorly many of the right-of-center Latin American governments have fared once coming to power, a trend that suggests this right-wing resurgence in the Americas may end up being relatively brief, even despite recent conservative victories in countries like Honduras. Once again a bellwether could be Brazil, the largest and most important country in the region. 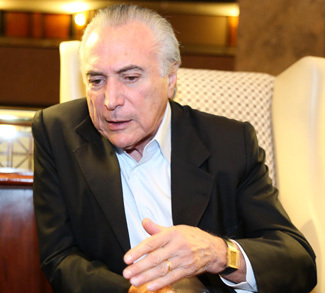 After years of political chaos, the unpopular interim administration of Michel Temer (who is serving out the remainder of Dilma Rousseff’s term) is due to end in October. The race is currently wide open, with frontrunner and former president Luiz Inacio Lula da Silva (popularly known as Lula) in prison and his most right-wing rival Jair Bolsonaro facing criminal charges for inciting hatred. The way Brazil turns in October could signal a change in political direction for the whole of Latin America; therefore, it merits a closer look at the factors affecting Brazil’s presidential race.